A headstone, tombstone, or gravestone is a stele or marker, usually stone, that is placed over a grave. They are traditional for burials in the Christian, Jewish and Muslim religions, among others. In most cases we inscribe the deceased's name, date of birth, and date of death, along with a personal message, or prayer. However, they may also contain pieces of funerary art, especially details in stone relief. In many parts of Europe insetting a photograph of the deceased in a frame is very common. 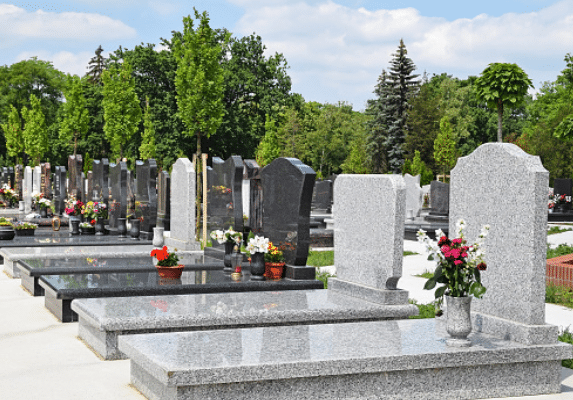 Headstones represent a fitting tribute and a lasting symbol of remembrance to a loved one, so it must have a timeless quality which can only be achieved by skilled craftsmen working with the finest stone materials.